No job is too small or too large. At Image Smart, we run Digital Presses, Offset Presses (including an SRA2 eight colour), Large Format Presses and a Flat Bed Press. 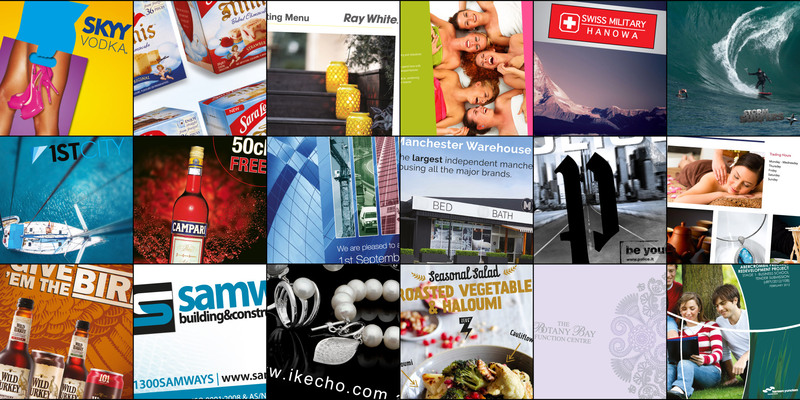 Magazines, brochures, flyers, books/booklets (saddle stitched or perfect bound), catalogues, postcards, point of sale (POS), interior / exterior graphic solutions, business cards, letterheads, desk pads, presentation folders, stickers, carbonised books and pads, envelopes, tent cards, fridge calendars, promotional products, merchandising, menus, signage, banners, posters, corflutes, forex boards, billboards. Finishing solutions you ask? We do it all. Scoring, dye-cutting, folding, binding, perforating, drilling, round cornering, cello-glazing, foiling, spot uv, embossing. It may not be listed above, but chances are we have the smarts to do it.